From composing emails and texts to penning books and blogs, everyone wants to write better. Benjamin Dreyer is here to help. As Random House’s longstanding copy chief, he has upheld the publisher’s standards for well over a decade. In his humorous and informative talks, he shares his invaluable advice on writing and editing. Beloved by authors, editors, and his social media followers, Benjamin Dreyer has a unique knack for playfully deconstructing the English language. In his book, Dreyer’s English: An Utterly Correct Guide to Clarity and Style, he distills his experience as the managing editor and copy chief of Random House into a useful guide for everyone who wants to improve their writing skills. Included are all the lessons on punctuation, grammar, and spelling a writer could ever desire, combined with insider wisdom and fun facts. Dreyer brings the same enthusiasm, authority, and irreverence to his talks, delivering valuable lessons on clarity and wit to students, professionals, and aspiring writers. 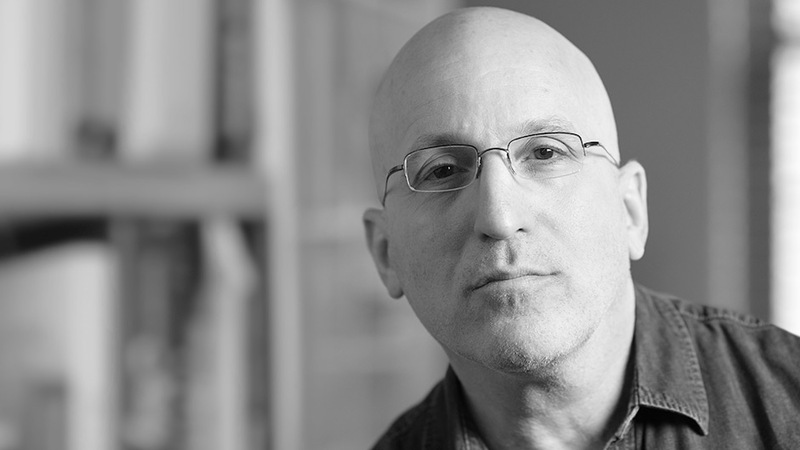 A graduate of Northwestern University, Dreyer began his publishing career as a freelance proofreader and copy editor. In 1993, he became a production editor at Random House, where he worked with a roster of writers that included Michael Chabon, Edmund Morris, Suzan-Lori Parks, Michael Pollan, Peter Straub, and Calvin Trillin. Dreyer has copyedited books by authors including E. L. Doctorow, David Ebershoff, Frank Rich, and Elizabeth Strout, as well as Let Me Tell You, a volume of previously unpublished or uncollected work by Shirley Jackson. He currently travels from New York City. For audiences that have always wondered what exactly copy editors do, how they do it, and, most important, how to manage without one, Benjamin Dreyer’s talk covers all of the bases. From the evolution of language and building blocks of grammar to practical tips on how people can improve their writing all on their own, everyone in attendance will come away having learned something new, from seasoned writers to college freshmen. A personal, supportive relationship between a writer and a copy editor can be essential to taking any written work from “good” to “perfect.” In this talk filled with fascinating and often hilarious stories from the trenches, Benjamin Dreyer provides everything aspiring writers need to know about the copyediting process, from the ins and outs of grammar and style to the question of whether "correct prose" even exists. Language has always been in a state of flux. Some words considered slang fifty years ago are acceptable—even formal—today. In the digital age, language moves ever faster, with new nouns and verbs (and verbed nouns!) flooding discourse and, ultimately, dictionaries. Benjamin Dreyer talks about what has changed about the English language over the years, and why we sometimes struggle to keep up with it. With decades of copyeditorial work under his belt, Benjamin Dreyer has learned that even the most talented authors can slip up. In this presentation, Dreyer covers the top 10 mistakes all writers make, and provides easily mastered tactics to catch them—before it’s too late. Before countless bestsellers hit shelves, they passed across Benjamin Dreyer's desk. As Random House’s copy chief, Dreyer has played an understated but essential role in the publishing process for some of today’s biggest literary hits. In this talk, he gives a behind-the-scenes look at the business of prose and the books he shepherded along the way. This work is that rare writing handbook that writers might actually want to read straight through, rather than simply consult. Like Dreyer himself, this book reassures as it teaches. The reader never feels spoken down to, as in so many other style guides, but instead lifted up, inspired to communicate with more clarity and zing. I'll be buying this for friends. In fact, Dreyer has fun throughout, exhibiting a light tone and a sly sense of humor… A pleasant voyage with a genial, worthy captain. Farewell, Strunk and White. Benjamin Dreyer’s brilliant, pithy, incandescently intelligent book is to contemporary writing what Geoffrey Chaucer’s poetry was to medieval English: a gift that broadens and deepens the art and the science of literature by illustrating that convention should not stand in the way of creativity, so long as that creativity is expressed with clarity and with conviction. At once a practical and philosophical guide for writers—and we are all writers of some kind, whether of tomes or tweets—Dreyer’s English does more than exhort us to do better. It offers us an example of what it’s like to be the best. If Oscar Wilde had wanted to be helpful as well as brilliant, if E. B. White and Noël Coward had had a wonderful little boy who grew up to cherish and model clarity, the result would be Benjamin Dreyer and his frankly perfect book. Anyone who writes anything should have a copy by their computer, and perhaps another on the nightstand, just for pleasure. Dreyer’s English will stand among the classics of how to use the English language properly. An utterly delightful book to read, this is for anyone who wants to write correctly. It is Benjamin Dreyer's intense love for the English language and his passion for the subject that make the experience of reading Dreyer's English—like any experience of being taught by a great and gifted teacher—such a pleasure, almost regardless of the invaluable and practical purpose his book serves in such dark and confusing times for grammar and meaning. Dreyer’s English is essential to anyone who cares about language. It’s as smart and funny as Dreyer is himself. He makes you smile and makes you smarter at the same time. A mind-blower–sure to jump-start any writing project, just by exposing you, the writer, to Dreyer’s astonishing level of sentence-awareness.